two peas & the dog: beauty. 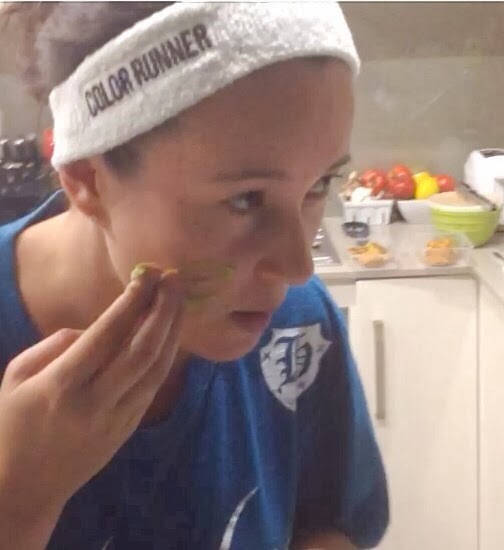 avocado face mask. You know when you let that avocado go just one or two days past the edible stage? It happens to me often...which I'm sure Nate hates because avocados are expensive down here. put through an app to lighten up. Mash in a bowl and apply to your face. I suggest doing this over a sink, it can be a bit messy. Oh, and wear some sort of a headband...unless you'd like it all in your hair. Let sit for 15 minutes, wash off with a wash cloth and enjoy your fresh face! I did have a bit of stinging while the mask was on, I think it was from the vinegar. It's works like an astringent. This morning my face did look a bit brighter and smoother. Have a diy beauty treatment for me to try? Leave a comment or tweet me, @JenEvison.